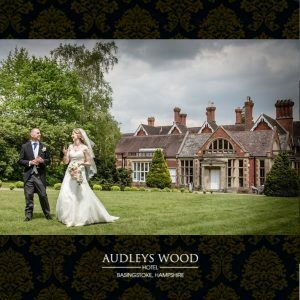 Nestled in beautiful English woodland, Audley Wood Hotel offers an exclusive, Neo-Gothic Renaissance venue licensed for civil ceremonies and partnerships. 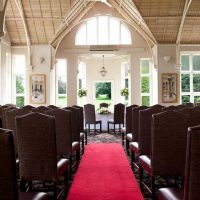 This beautiful and characteristic venue boasts elegant, traditional features and contemporary facilities with an emphasis on providing exceptional service. 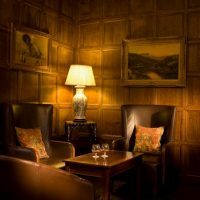 Intricate ceilings, decorative stonework, beautiful open fireplaces and wooden panelling lend themselves to the romantic and elegant atmosphere. The dedicated wedding coordinator can help you through the often stressful experience of planning your celebration. To save time and help you stick to a budget, there are several all-inclusive packages. If you have something a bit different in mind the wedding team can help you tailor a more bespoke proposal. Embedded within their ethos, is a passion to create a magical and memorable experience that you will treasure forever. With a choice of settings, there are multiple options for your celebrations. Overlooking the private and tranquil gardens is the Conservatory restaurant. Magnificent vaulted ceilings and an abundance of natural light make this a sophisticated setting for up to 100 guests for a ceremony and 70 dining guests. The classically wood paneled Simonds Room provides an inviting space for up to 20 ceremony guests or 16 diners. The intricately carved oak panels and grand fireplace make this a romantic and refined option for more intimate gatherings. 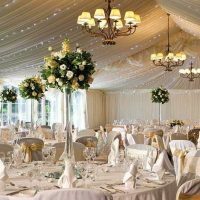 Neutrally decorated, the Sir George Bradshaw Suite provides a natural backdrop for your celebration. The large windows overlook the immaculately kept gardens and flood the room with natural light. This flexible space is suitable for ceremonies with up to 50 guests or receptions and dining up to 40 guests. The purpose-built Garden Pavilion boasts several convenient features including private bar, quaint terrace and air conditioning. 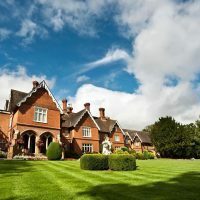 Ideal for larger celebrations of up to 200 guests, it’s set apart from the main house and provides a secluded retreat surrounded by beautiful woodland. No matter what your vision for your catering, the passionate team will strive to exceed your expectations. Proudly using the finest local ingredients, they can tailor your menu to your specifications including specialist dietary requirements. The 72 beautifully appointed rooms provide ample space for your guests, friends and family. Neutral colours and idyllic furnishings provide a cosy and relaxing atmosphere throughout all the rooms. For something a little bit special, the two indulgent suites are furnished in period style complete with magnificent four poster beds.